I have always been a big HUGE fan of lemon flavors in cooking and baking, so when I saw a recipe for lemon cookies, I knew what was next on my baking list! 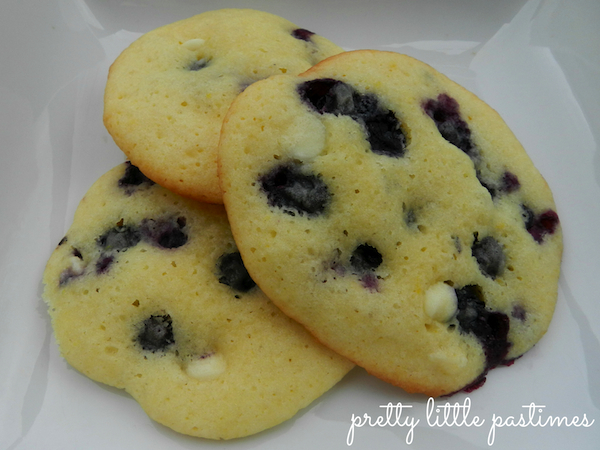 With the addition of lemon zest, fresh blueberries, and white chocolate chips these, these cookies really wowed me. 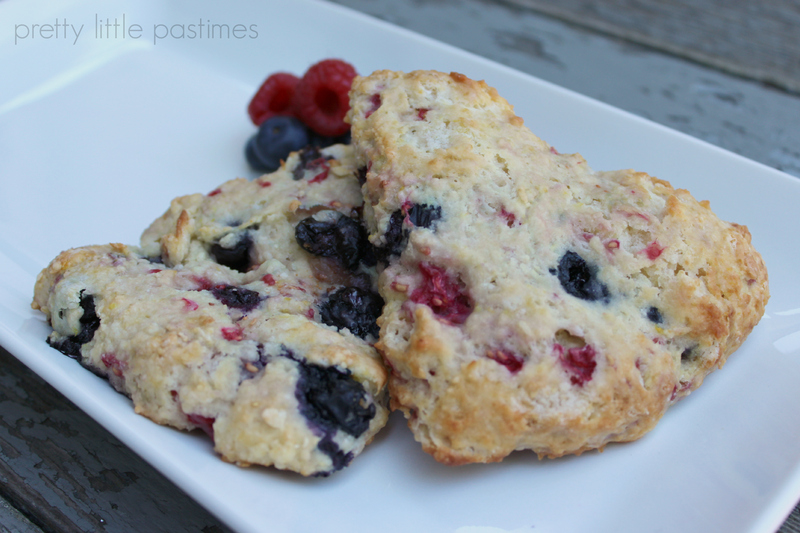 With the use of the cake flour, they came out very soft and the flavor combination works for snacking from breakfast to dessert (dangerous)! 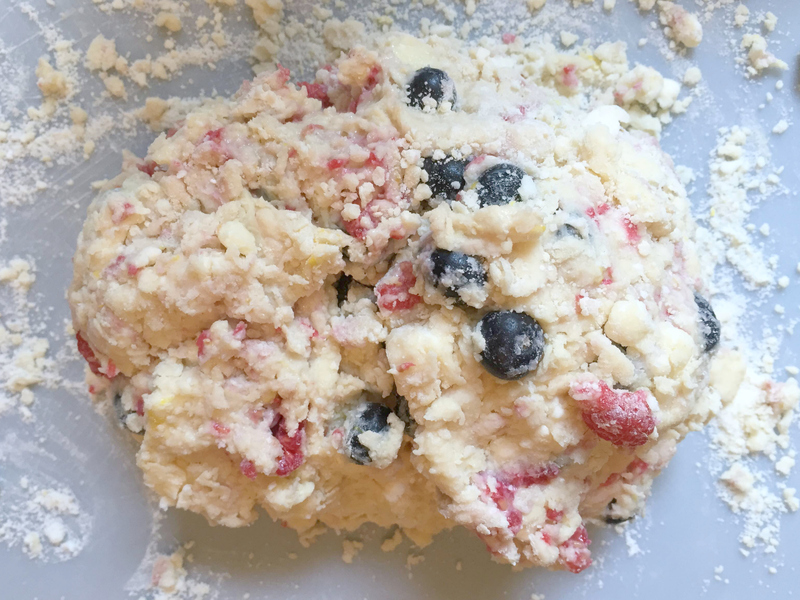 In a large mixing bowl beat butter and sugar on medium speed until fluffy. Add the eggs, vanilla extract and lemon juice one at a time, mixing until incorporated after each. In a separate bowl, whisk together the flour, salt, baking powder and baking soda. Slowly add the dry ingredients into the wet and combine. 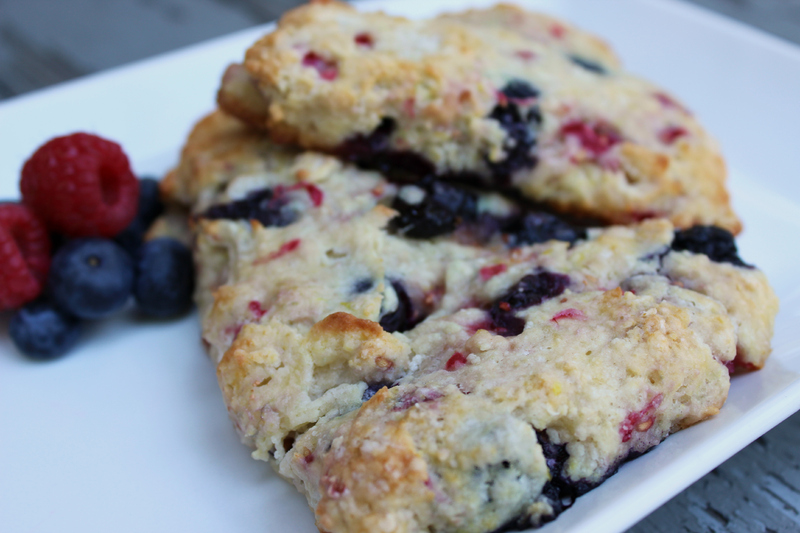 With a rubber spatula, fold in the blueberries, lemon zest and white chocolate chips. Cover the bowl and place in the refrigerator for at least one hour. Preheat your oven to 350 degrees. Spoon the cookie mixture onto a parchment lined cookie sheet and bake for 10-13 minutes or until the bottoms of the cookies are golden brown. Transfer the cookies to a wire rack and let cool completely. The cookies do spread while in the oven, so try not to overcrowd (a couple of mine ran into each other). Also, if you are looking for a more traditional cookie texture, you can replace the cake flour with 3 cups all purpose flour. These cookies did not last long in our house, so I know I will be making them again and again upon request! Enjoy!